Carol Ash served as commissioner of the New York State Office of Parks, Recreation and Historic Preservation where she led the agency’s efforts to restore and develop infrastructure within the state’s 178 state parks and 35 historic sites. Carol also led efforts to restore and create New York’s Walkway over the Hudson State Historic Park – the world’s longest, elevated pedestrian bridge. A staunch advocate of environmental issues, Carol also served as executive director of the Palisades Interstate Park Commission, New York State director of The Nature Conservancy, director of the Office of Environmental Policy for the Port Authority of New York and New Jersey, and regional director of the New York State Department of Environmental Conservation. In addition, Carol co-founded the Alliance for New York State Parks, an Open Space Institute (OSI) initiative, to protect and improve New York’s state parks and historic sites. 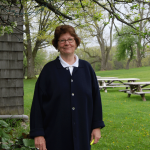 She is a current board member of OSI, Mohawk Hudson Land Conservancy and Environmental Advocates.